The Patagonia Powslayer is one of the highest quality, most intuitively designed and durable jackets in skiing. It feels incredibly high tech with its built-in, push button cord-lock cinches on the hood, collar, and waist. New Gore-Tex pro material feels robust yet super lightweight, but it can feel a bit crinkly with movement because of how thin and highly waterproof this jacket is. Both men's and women's versions are roomy enough for layering. Other features that got high marks from the POSSE: The chunky center front zipper that easily zips without getting lost in tight taped seams, and the extremely soft "kissing wall" material on the inside of the collar. The fixed hood's ergonomic design integrates with the high collar when zipped up, plus every pocket on this jacket is put in its place on purpose. From lined hand-warmer pockets on the waist, inner mesh pouches for quick stashing, to inner and outer seam-taped media, and "small important stuff" chest pockets, there is a spot for everything. 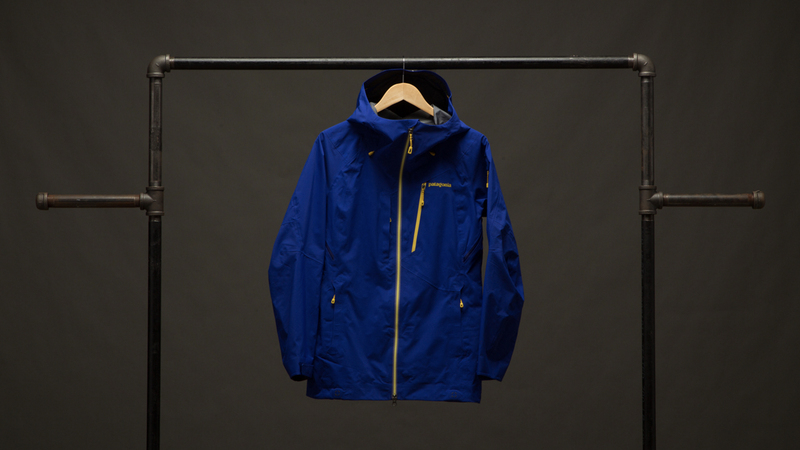 The Patagonia Powslayer is one of the highest quality, most intuitively designed and durable jackets to wear skiing. Read the review for the Patagonia Powslayer Pants here.